insGamer (originally East Coast Tactical) was founded in late 2014 as a community for gamers who shared the same interest and enjoyment for the cooperative gameplay aspect of Insurgency. If you have recommendations or simply just want to show support, then please join our Steam group and leave us a line or help spread the word! If you are in need to interact with our community leaders, administrators and other members, feel free to join our forum here; We are looking forward to viewing your comments, questions or recommendations. If there is something you want to see added or changed, let us know! It is key to our developing and maintaining this community to get everyone's prospective and opinion in what they desire to see. To keep things simple, our servers only have a few simple rules and everything else is common sense! EVERYONE has a right to play - Be it a newbie or a veteran player, every skill level is welcomed. EVERYONE is allowed their own style of gameplay. Camping, tactically creeping and rushing is allowed -- Do not let your style of gameplay adversely effect your teammates well-being and experience. ABSOLUTELY NO trolling, insulting, racism or anything of the sort! Take this as your warning. DO NOT molotov or incediniary spam absurd amounts on counterattacks, thus effecting line of sight on enemy targets. BEFORE calling a vote (mainly restart game/round vote option in particular), get others opinions and thoughts! 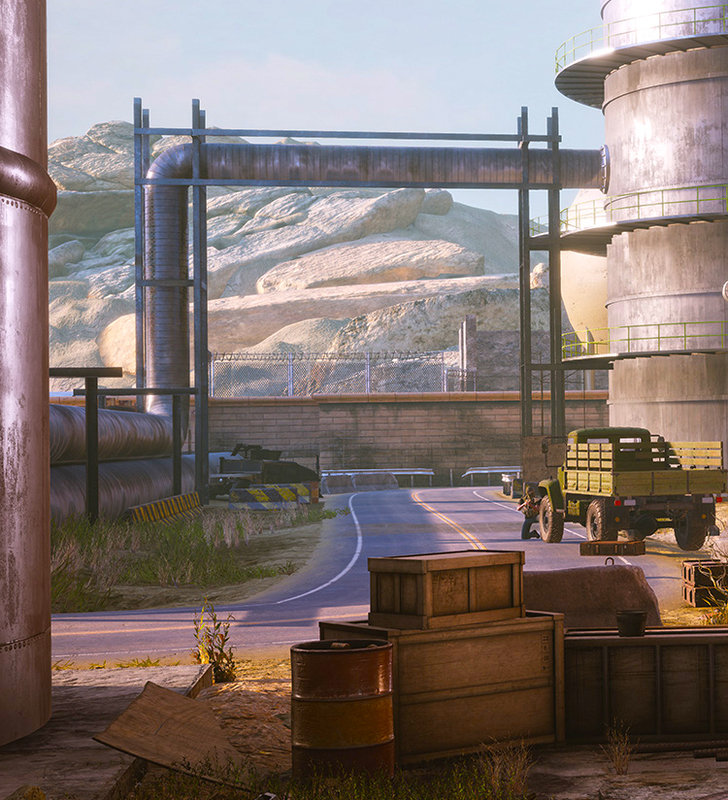 With seven servers for the Insurgency 2, with various access points in two continents, insGamer offers a rock solid choice when it comes to enjoying a game of the cooperative gametype checkpoint. Among the seven servers you will find that the maps offered (both stock and custom) and the enemy bots behave and react are all about the same -- the real choice comes to when you decide with what you fight the enemy with, in terms of weaponary. Look below to learn how to find your best server match! Provided is a short guide on how to interpret our server naming convention and what weapons you will find on each server. [Modern Custom Weapons and Maps] - All weapons offered on this server are modern, NO mixture of World War II weaponary. [Custom Weapons and Maps] - Weapons offered on this server a mixture of modern and World War II era weaponary. [World War II Theater] - All weapons offered on this server are from World War II or before. Like to work as a team? Looking to be immersed in a world of weapons, attachments and weekly new features? Look no further. Our high-performance private server insGamer.com Tactical Play #1 through insGamer.com Tactical Play #4 allows for just that; with over 60 stock and custom weapons to pick from for any situation. With four private servers, we can offer a wide range of gameplay options; including two servers each with and without medics. To get access to these servers requires no set time-played, skill level or any other limitations -- All we require is respect for each other and teamwork. If you are interested in joining, add DeltaMike on Steam.